As a professional hairstylist, I see many women who have natural hair. My clients include natural women who have recently gone natural as well as women who have been natural for years. Yet still, many of them have the same questions and believe the same myths about their natural hair. 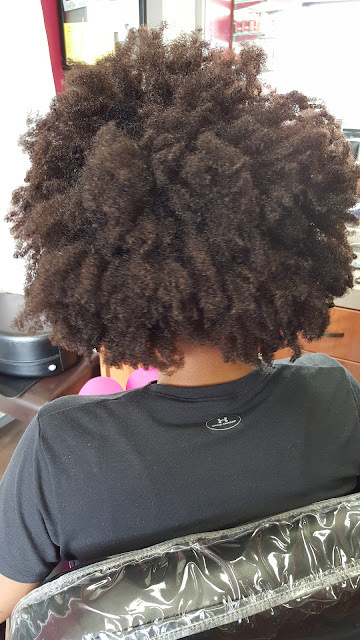 Today I want to expose my top three myths about natural hair. eir natural hair is much harder and requires more work than the upkeep of relaxed hair. 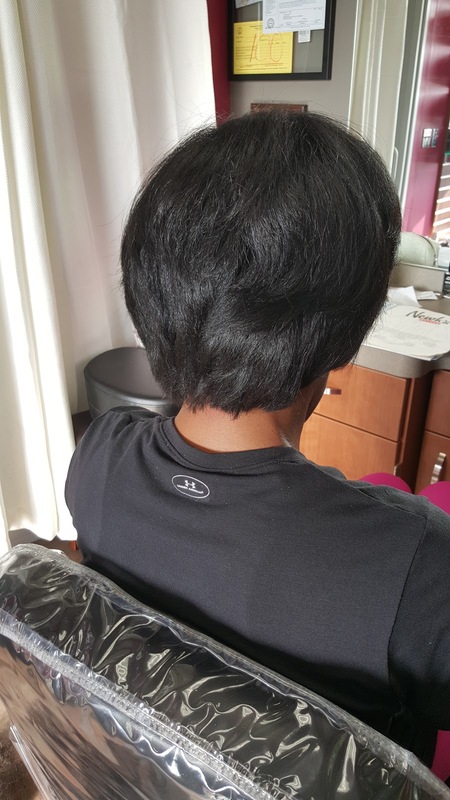 The client in this post often found that majority of the time she simply wore a ponytail puff because she did not have time to do a lot to her hair. Even though she has a ton of hair she was not satisfied with the look of a "wash and go" with her hair texture. She came in the salon to cut most of her hair off and to get a silk press. Myth #2. You don't have to get your ends trimmed as often- Wrong, wrong, WRONG! This statement could not be more false. I can't tell you the number of natural women that come to me saying that they haven't had a trim in over a year. This is way too long. Even if your hair is natural it still has the ability to split. In fact natural women may be even more prone to split ends because a lot of natural women do not tie their hair up at night. Relaxed women wrap their hair at night with a silk scarf which protects the ends of the hair from the friction of rubbing up against the pillow and sheets of your bed (or whatever you sleep on). It is however, much harder to see split ends in natural hair due to the fact that it is all curly so it all blends in. But the minute you straighten it or even try to detangle it you can clearly see and/or feel the ends that have split. Natural women should get their ends trimmed at least every three months. 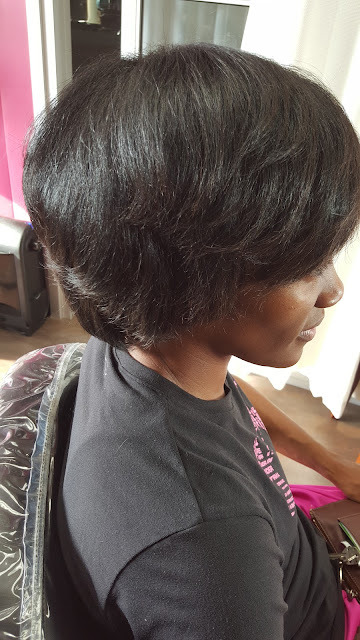 The client in this pic had not had her ends trimmed in over a year and was looking to get a major cut. She was tired of the bun every day and was ready to say goodbye to having so much hair on her head. Good post! I hear all of these a lot especially the last one. 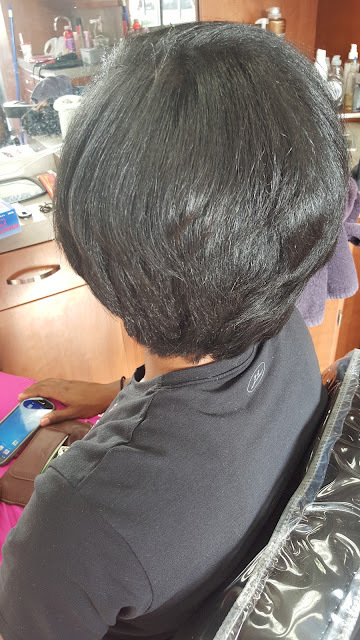 People automatically assume that if you have a relaxer your hair is damaged.